Therefore, U.S. immigration officials focus their questions on your relationship. They need to be convinced that your relationship is genuine and that the couple is getting married because they are in love and plan to live a life together. The K-1 visa is in place so that the foreign fiancé can enter the United States for the purpose of marrying the U.S. petitioner within a 90 day period. With this in mind, be careful of this fiancé visa interview question. Do you know what you need to do after being approved a K-1 fiancé visa? Immigration officials screen applicants by asking questions that a typical person in a real relationship would know about his or her fiancé. The expectation is that you know your fiancé well. The consular officer will test this knowledge my asking you questions about your fiancé and his/her background. What is your fiance’s phone number/email address? Does your fiancé have some favorite hobbies or interests? Did your fiancé go to college? Where? What is your fiance’s ex-spouse’s name? Will any step children live with you? Has your fiancé ever visited you in your country? Have you visited your fiancé in the U.S.? When did your fiancé propose to you? How did your fiancé propose to you? Can you provide any evidence that you’ve planned the wedding? Important: The K-1 visa provides you with only 90 days to marry your U.S. citizen petitioner. If you plan to stay in the United States, you MUST file an application to adjust status to permanent resident before the visa expires as well. After successfully adjusting status, you’ll receive a green card. The consular officer will not ask you to answer all of questions listed above. In fact, your interview may only last 15-30 minutes. It’s not an interrogation. It’s a chance for the consular officer to personally interact with you to confirm the validity of the K-1 visa application and collect any necessary information to complete the application. Read over the Form I-129F that your U.S. citizen fiancé filed on your behalf. Be familiar with it. If any of the information has changed, have supporting documents ready so that it doesn’t delay your case. The K-1 visa requires that you marry the U.S. petitioner within 90 days of entering the United States. If you have evidence of a planned wedding, this is helpful. Take it to your interview. Examples of evidence include a copy of the invitation or receipts for the venue, food, entertainment, dress, flowers, etc. In some cases, it may be difficult to answer a question. For example, many people can’t explain eloquently what their long-time spouse really does for a living. You may not even know the specific answer to a question. Don’t panic. Be truthful and share what you do know. The important thing is that you are honest. Making up answers won’t help. 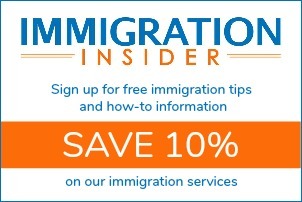 Lying in a visa interview can have long-term immigration consequences. If you are uncomfortable about an answer because you think it could be a problem, this is a good indicator that it’s best to speak with an immigration lawyer. 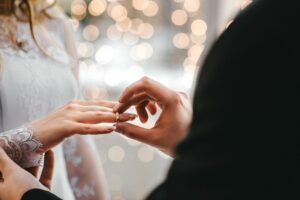 As long as you know your fiancé well and are getting married for legitimate reasons, you’ll have no problem answering any of the K-1 fiance visa interview questions.